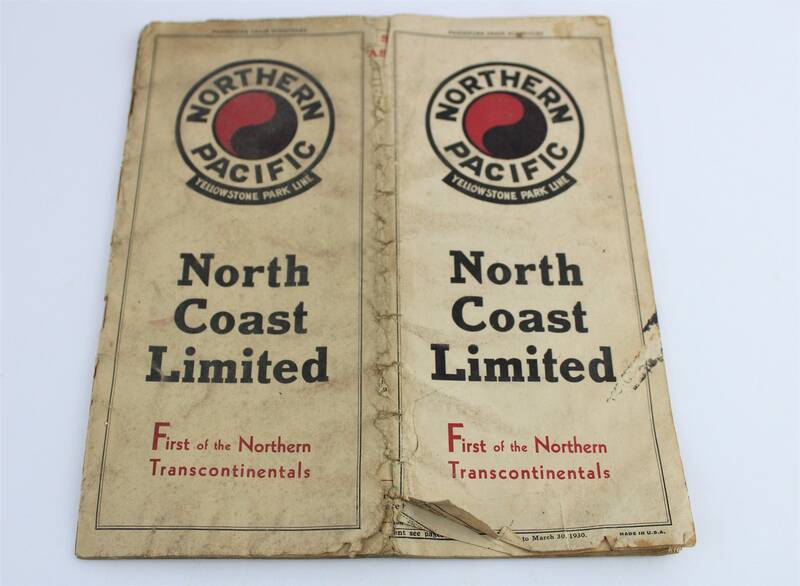 We have for sale a Vintage 1930 Northern Pacific Yellowstone Park Line Schedule. 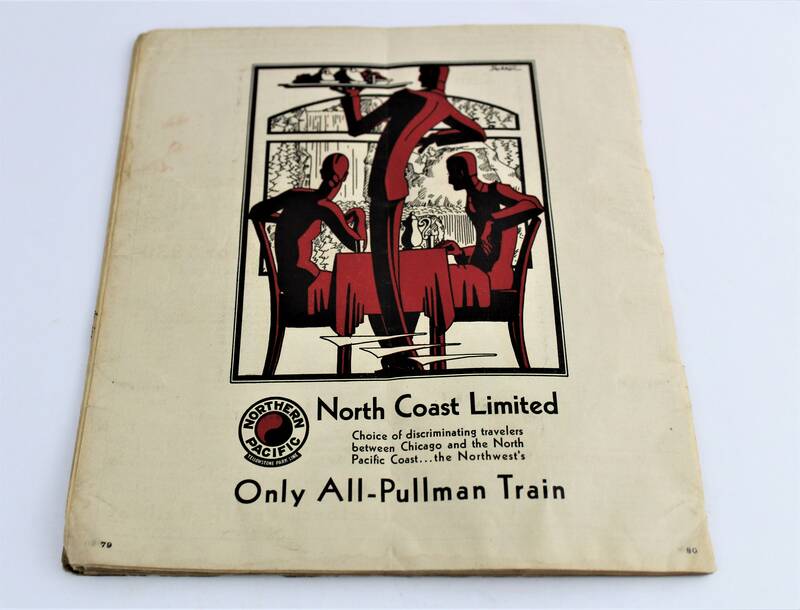 Wonderful piece of Railroad Memorabilia. 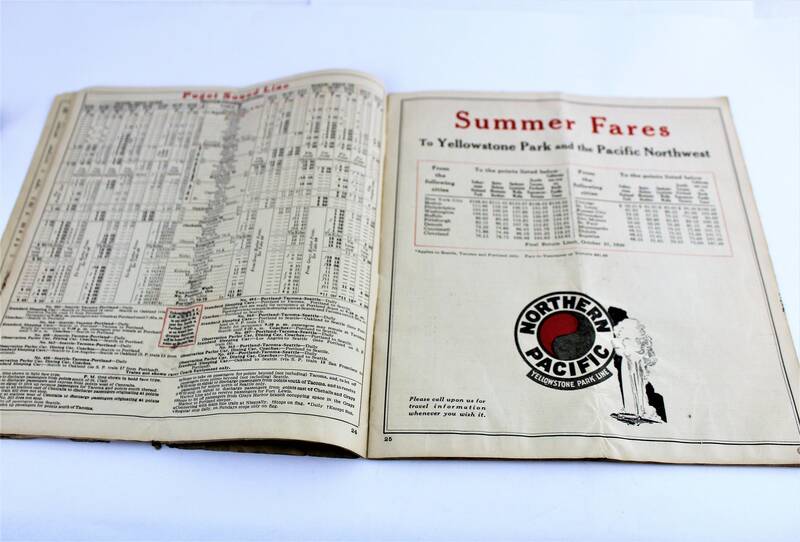 This 1930 Train Schedule for the Northern Pacific Yellowstone Park Line. 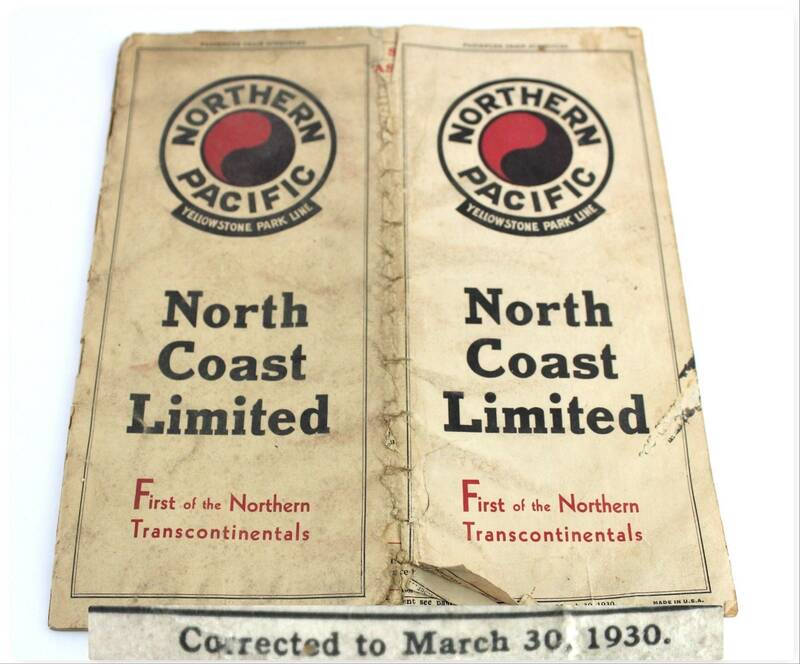 Condition; overall is fair condition with some page edge wear and tears the cover shows rips and damage and discoloration.